On Saturday, September 15th, Born To Run in Spring House is hosting the second annual Pikefest 5K. The race kicks off the festivities for Lower Gwynedd Township’s Pikefest, which will take place after the race at 10am. The Pikefest 5K starts and ends at Spring House Tavern, located at the corner of Bethlehem Pike and Norristown Road. Start time is at 8am. Runners will run through historic Bethlehem Pike, and some of Lower Gwynedd’s prettiest trails. 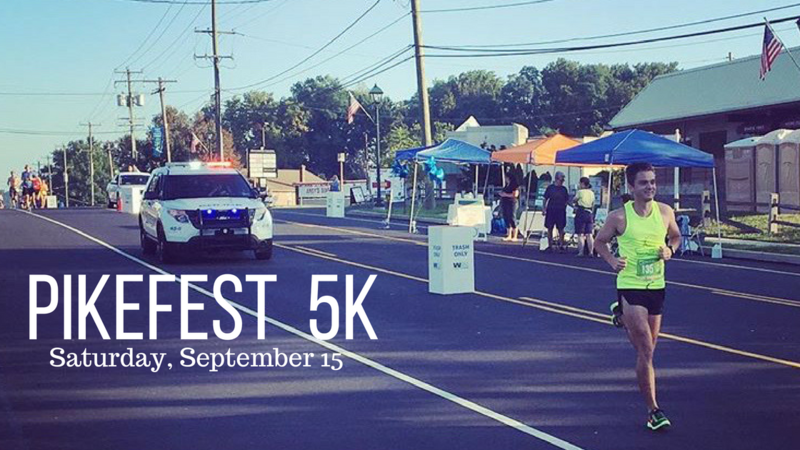 Applications for the Pikefest 5K can be picked up in most Lower Gwynedd businesses, or by registering online here. Registration is $20 for adults and $15 for youth under 14. Runners can also register the day before the race at Born To Run, located at 821 North Bethlehem Pike. Dogs are welcome and tee shirts are guaranteed to all pre-registered runners.